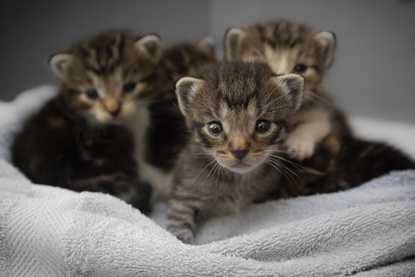 Cats Protection has over 2,000 dedicated fosterers looking after cats of all ages in their homes until they find new owners. 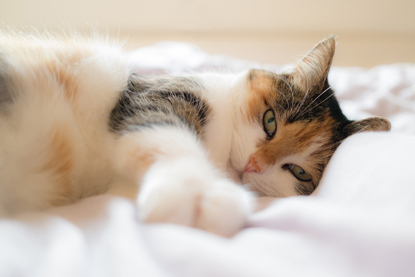 For some cats it is a short-term, loving place to stay while their forever home is found, for others they may need specialist or round-the-clock care before they are ready to be rehomed. 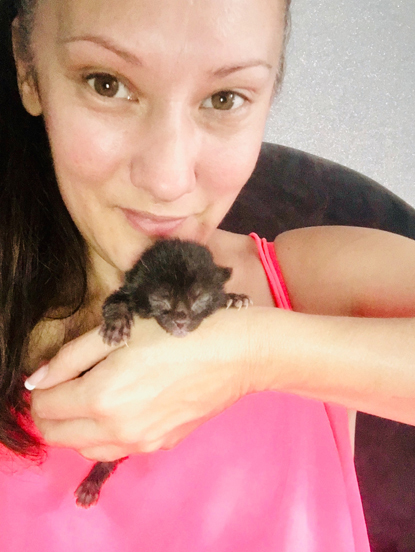 Dancing on Ice professional skater Frankie Seaman is a supporter and fosterer for Cats Protection via her local adoption centre in Newbury. 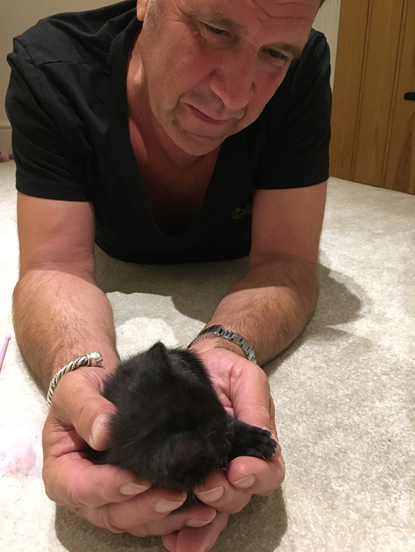 At home with her husband, ex-England goalkeeper David Seaman, she cares for kittens who need additional care before they can be rehomed and performs all the roles a mother cat would naturally fulfil. 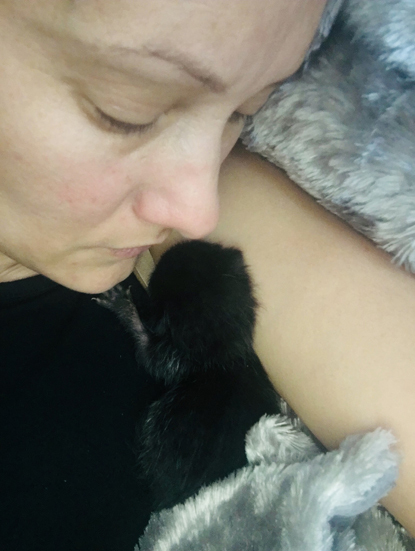 Frankie says: “One of my great successes was Whisper who was born incredibly early, the only black kitten in a litter of very well developed tabbies. She was much smaller than her siblings and her eyes had not formed behind her eyelids. 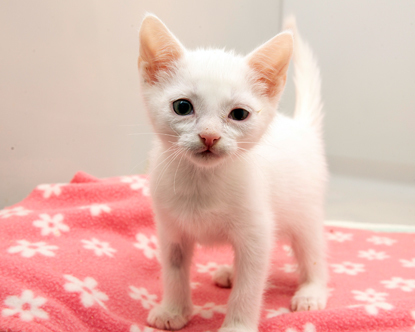 Once Whisper was strong enough to be reintroduced to her litter-mates and mother, Frankie’s role did not end – she needed to supervise visits to ensure the much younger kitten was safe around her birth-family so that she could play with and learn ‘how to be a cat’ from her siblings. 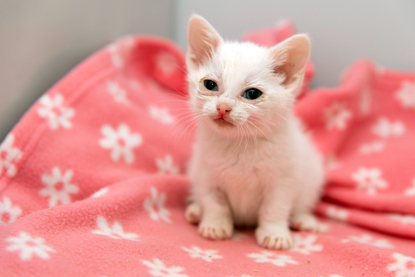 Fosterers for Cats Protection are supported throughout the process with all food, litter, toys, vet treatment and specialist equipment provided by the charity. 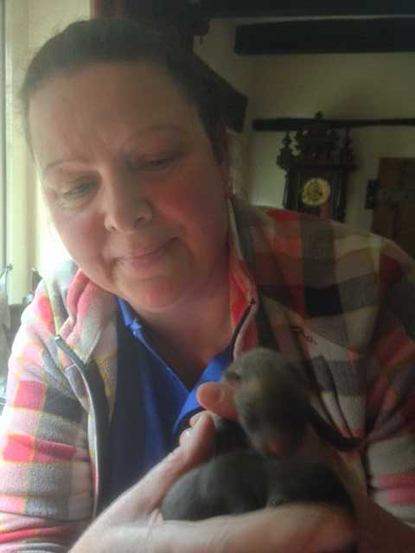 They have access to advice from the charity’s Veterinary team as well as opportunities to network with other volunteers and staff at branches and centres nationwide. 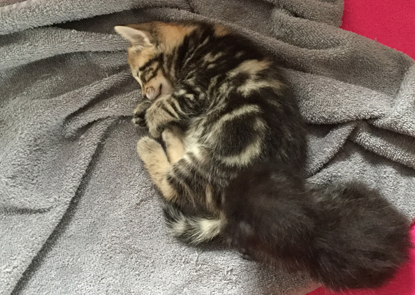 To find out more about Frankie’s latest foster kittens visit @KittensCam on Twitter. When life gets busy it can be easy to let things pass you by, so it’s important to take at least a few moments out of your day to be mindful of yourself and the world around you. While we can sometimes struggle with the practice of mindfulness, our moggy mates really have it purrfected. 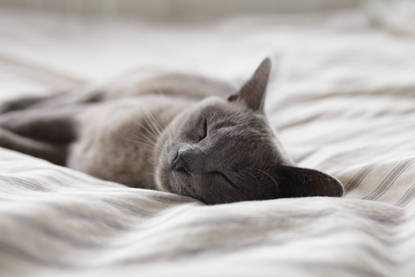 Here are some of the reasons why being more cat is good for our health. 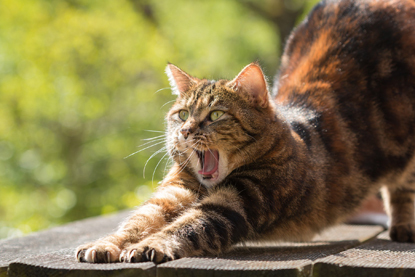 Whether it’s the downward dog or the cat pose, kitties love a good stretch. Their flexible bodies help them to get into all sorts of impressive shapes – just be careful you don’t cause yourself an injury if you try to copy them. 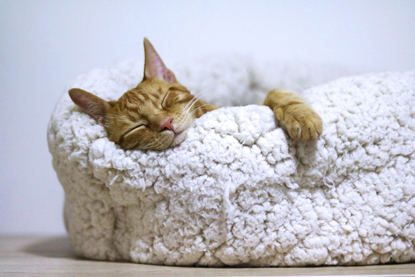 When it comes to sleeping, cats are true experts. 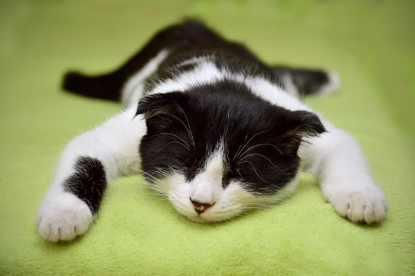 Most moggies can clock up to 16 hours of snoozing a day, making sure they have plenty of energy for what’s left of it. Next time they’re taking a cat nap, why don’t you join them? 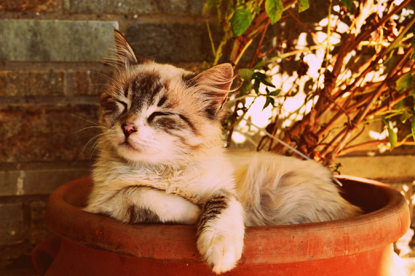 Worrying about the past or future isn’t a big concern for cats, as they like to live in the here and now. 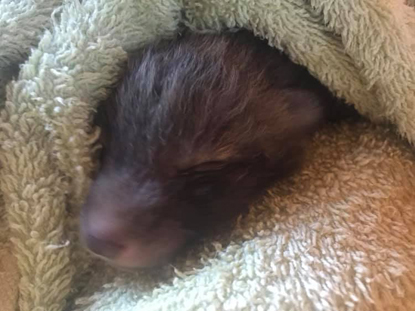 When they know that you’ve got their next meal covered and that they have a cosy place to sleep, they can relax without a care in the world. 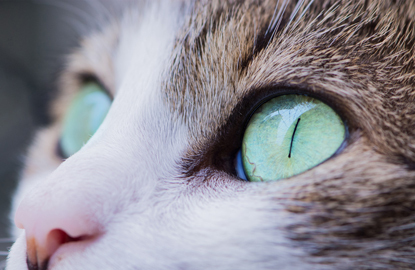 Cats are always stopping to notice the world around them, using their big ears to listen for unusual noises and their sensitive noses to scout out interesting smells, especially if it’s dinnertime! 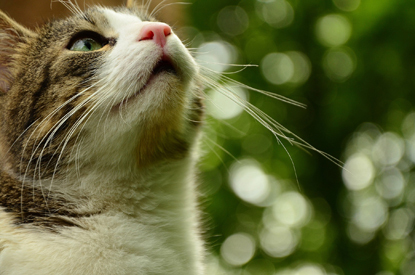 Even their whiskers help them to sense their surroundings, making sure they always know what’s going on. 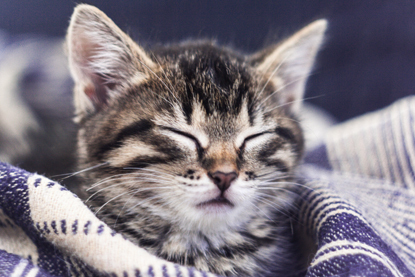 There’s no sound more relaxing than that of a purring cat and our lucky moggies get to hear it whenever they choose. 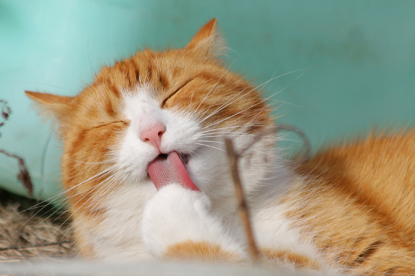 Some people even believe that the frequency of a cat’s purr has healing qualities – all the more reason to give your cat some more of those purr-inducing chin rubs. 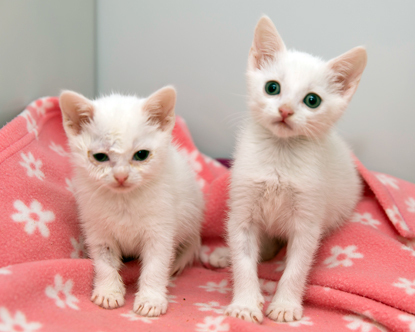 To find out more about cats and their curious behaviours, visit the Cats Protection website. 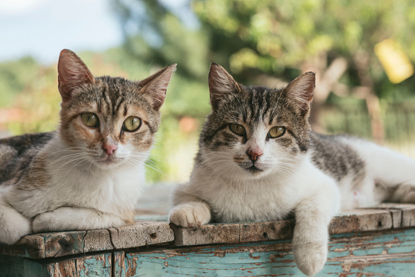 While the bond we have with our own brothers and sisters is often strong, cats don’t always have the same close connection with their own family members. If you have more than one cat from the same litter of kittens, you might assume that they will be best friends for life, but there is no guarantee. Cats are a solitary species with no in-built need for fellow feline companions and this also extends to sibling relationships. 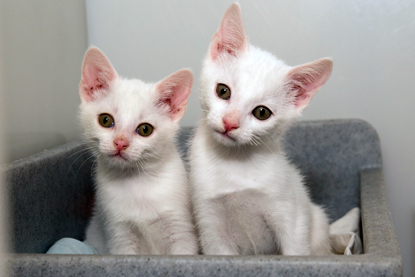 Even if littermates get on at first, they can often drift apart as they get older, as cats don’t reach social maturity until they are between 18 months and four years old. 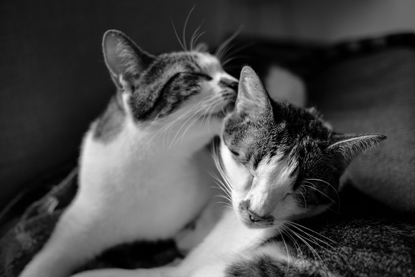 If your cat regularly grooms, rubs against or sleeps curled up with their sibling, then this is a sign that they are in the same social group and have a sustained sibling bond. 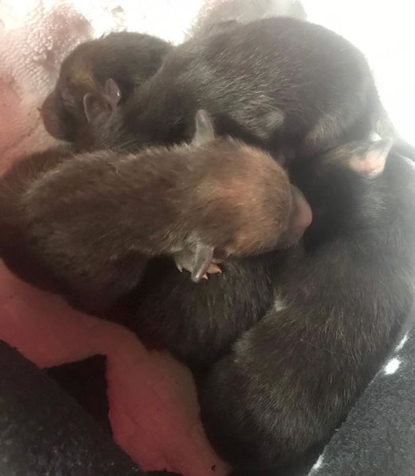 However, if they block or time share (that is only use them when the other isn’t around) resources such as food, water, beds and litter trays, live in separate areas of the house or get aggressive with each other then they are definitely not a happy family. The stress related to difficult sibling relationships can even manifest as behavioural problems or even medical issues such as urinary tract issues or skin complaints. 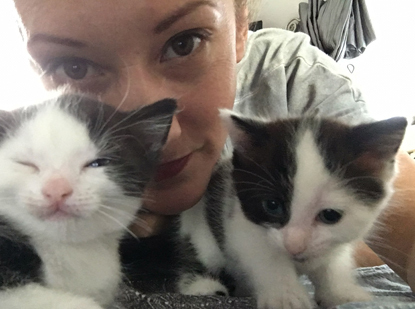 While there is no fix for getting your moggies to be best mates again, there are some simple things you can do to help them live happily under the same roof as each other. 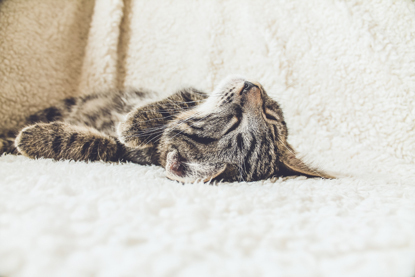 If your cats are still not getting along, then arrange a vet check and your vet can recommend a suitably qualified behaviourist who can provide further advice tailored to your own situation. 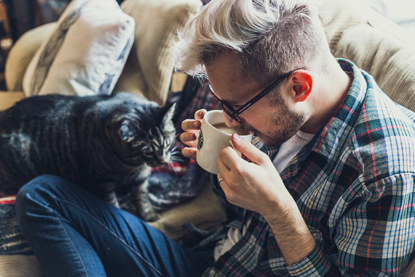 If you’re lucky enough to live in a house with cats and kids, you’ll be familiar with the companionship they provide towards each other. 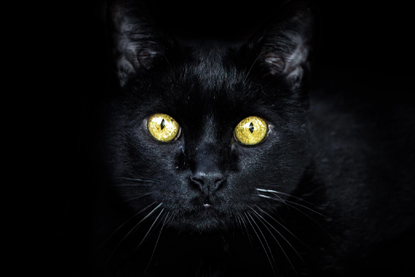 Cats can be a great influence on children and most cats will enjoy the affection that children offer. However, while cats and kids often share an unbreakable bond, it is important that children learn how to care for their cat properly. 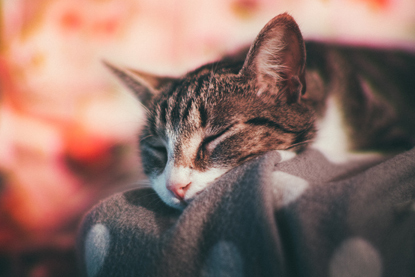 In aid of Family Safety Week, we’ve put together our top tips on how to teach your child to care for your cat – guaranteed to keep their relationship harmonious! 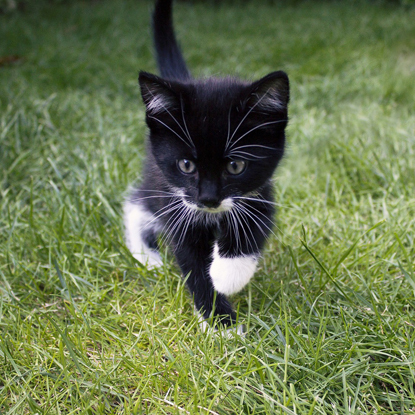 Even the kindest children can accidentally frighten a cat by surprising them or pulling their tail. Make sure you’re around for every interaction that your child has with your cat, just in case! 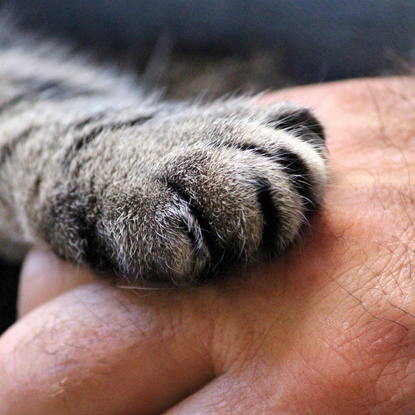 Show your child how to pet your cat carefully using an open hand and a soft, gentle stroke. Babies and toddlers are likely to poke or pat a cat, or even hold onto their skin, so watch out for this. You might even want to hold your toddler’s hand to show them how to be gentle – remember to give your child lots of praise when they treat the cat with care. No matter how great their relationship, there are times when a cat will tire of a noisy toddler or energetic child. 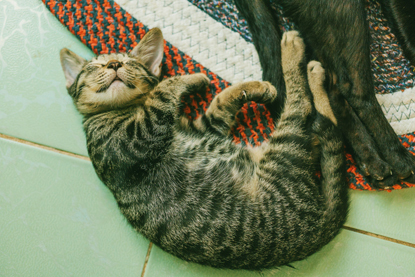 Keep some areas in the house child-free zones, teaching your little one to leave your pet alone when they are in these areas. High shelving and hiding spaces are ideal places for your cat to find peace. 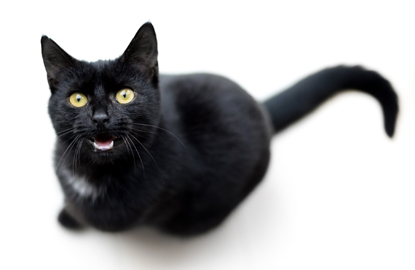 Teaching your child to recognise when your cat is stressed is an important part of ensuring your cat is happy. 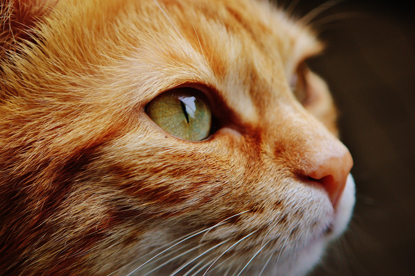 A cat who is enjoying being stroked will lean in towards your child or even purr. 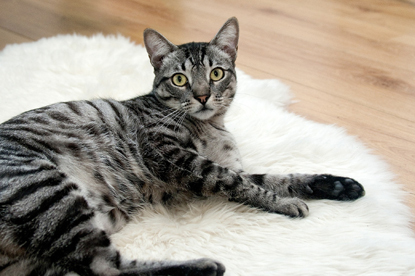 A swishing tail, growl or extended claws are signs of an anxious cat and your child should steer clear. 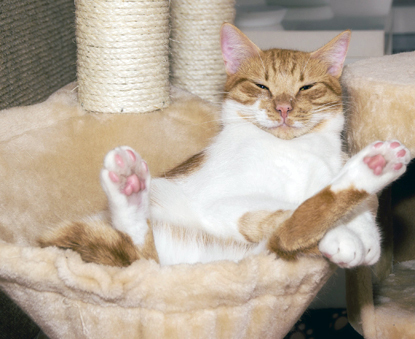 You can find out more about your cat’s body language by watching our animation below. For cats, having somewhere to hide ensures they feel safe. 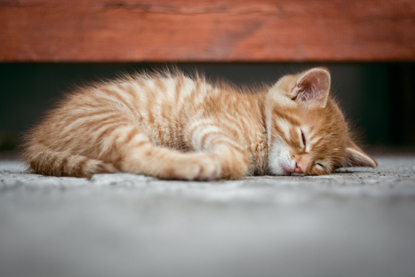 Teach your child to leave your cat alone if they are hiding – they should never pull the cat out or try and squeeze in next to them. Cornering the cat might even cause the cat to scratch or bite, putting your child at risk. Litter trays and food and water bowls are often attractive to kids – especially if you’ve got toddlers with an inquisitive nature. Keep little hands out of reach of these items, or locate them in areas where your child doesn’t have access. Stair gates are an ideal way to section off parts of the house as out of bounds. As your cat and child become friendly towards each other, there’s no doubt your child will be keen to play. 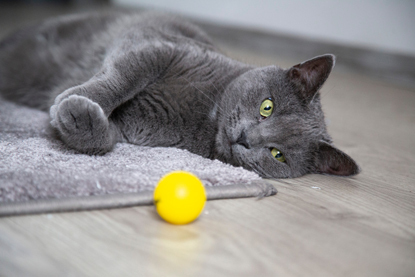 Letting your little one play with wand and rod toys is a great way to encourage play without them physically handling the cat, especially if your cat doesn’t enjoy it. It’ll help your cat to get used to being in your child’s presence too, so they’ll see them as less of a threat.